High-gloss steel and transparent acrylic design table lamp, including ecru lampshade. Bring Italian allure into your home with this beautiful lamp. 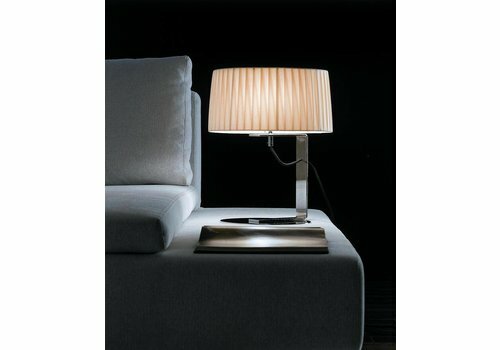 Beautiful design table lamp with Italian allure! This model consists of a high-gloss steel base and a solid transparent acrylic mid-section. The ecru fabric lampshade makes the whole into an especially chic design table lamp. the lamp has a height of about 62,5 cm, including the shade. The other dimensions can be found under the heading 'specifications'. To prevent that the lamp is easily knocked over, the base is weighted. This lamp does a great job as luxurious desk lamp, or as ambient lighting in the living room, hallway or for example, the bedroom. The power of this model is in the design and the combination of beautiful materials high-gloss steel, transparent acrylic and ecru fabric. 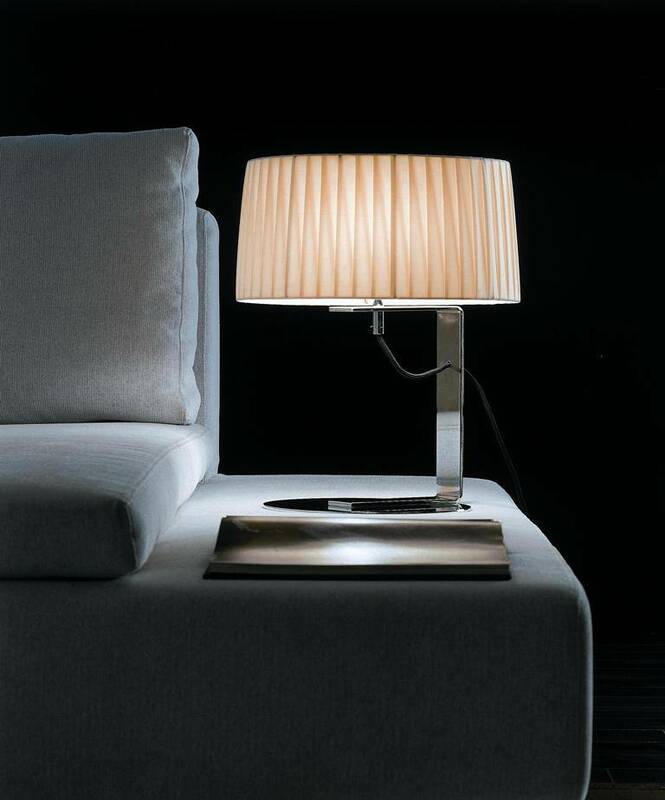 If you are looking for a quality, high-end luxurious table lamp, this may be the right model for you. It comes with a 2-year warranty on the functioning and materials of the product. Wooden Table Lamp design by BRAID. Unique modern lighting, ideal for a modern interior. Lamp design, 'Divina,' by Elle Studio. Divina has a fabric shade, frame and round base in chromed steel. Simplistic and modern Divina is a lovely addition for the home or office.